Growing Strawberries – How To Plant And Grow Your Own This Year! It seems you can never have enough strawberries in our house – so planting our own patch at the farm a few years back became a priority. 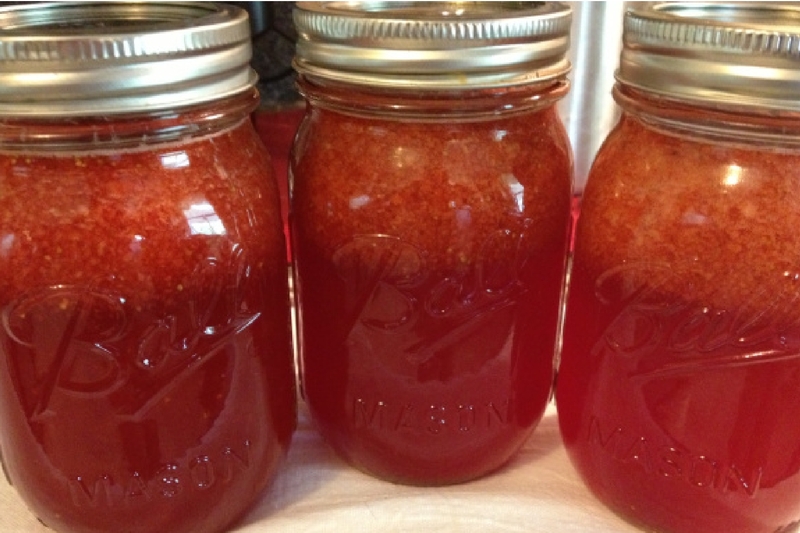 Strawberry Honey Jam – just 4 natural ingredients and oh so good! In addition to simply eating fresh – we enjoy them in pies, on top of ice cream, in fruit salads – and making our own strawberry lemonade concentrate (see : strawberry concentrate) and strawberry salsa (strawberry salsa recipe). Of course, we always make sure to leave enough to make our strawberry-honey Jam to enjoy the year around! 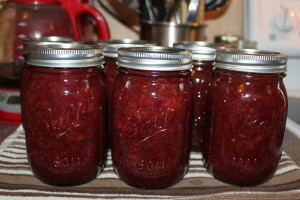 (see : strawberry-honey jam recipe) In fact, now that I think about it – I’m not quite sure we could ever grow enough! Growing Strawberries is one of easiest things to do! Strawberries are actually a low-maintenance crop. In addition, as a perennial, they continue to keep producing year after year – making them a valuable crop to add to your landscape. 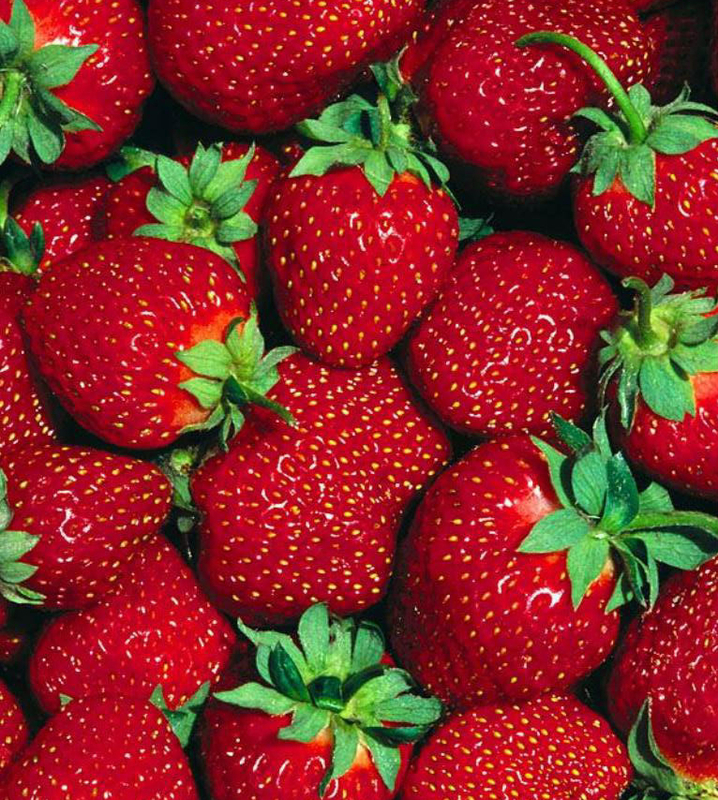 Although there are hundreds of varieties to choose from – strawberries for the most part can be divided into two categories, June bearing (sometimes called Spring bearing), and Everbearing. Is there anything more beautiful that fresh strawberries! June bearing have always been our favorite – simply because they tend to be larger, juicier and what most of us know as “true strawberries”. We also like the fact that they come into season all at once for about 3 weeks – allowing plenty for preserving as well. But that is not to sell short the Everbearing varieties. Although they tend to be smaller varieties with lower yields – they are an excellent choice for patio planters and small spaces. They also are perfect for people wanting to have a small supply of fresh strawberries throughout the growing year to enjoy on salads, or as a topping on yogurt, ice cream or cereal. Strawberries do best when planted on raised ground or rows. Work in a generous amount of compost to the soil before planting. It is a really good idea to cover the planting area with black plastic or a landscape fabric before planting. It makes keeping the bed free of weeds much easier, and also provides protection from slugs and bugs that come up from the ground. Once you have the plastic down – be sure to either cut out holes for your plants, or make a few slits with a knife to allow for planting and watering. As for when to plant – in climates that have more of a true winter – you will want to plant your strawberries in the early spring – about 3 to 4 weeks before the last frost. For us (mid-Ohio) sometime in mid-April works best. For warmer climates with more temperate winters – most will plant in late fall, and have a crop the following early spring. mulch around your plants to keep weeds out and moisture in. Straw or pine needles work great! Set in the plants so that the upper portion of the crown is just slightly above the level of the ground. The crown is the portion that is directly above the root area, and below the first set of leaves. As you plant, make sure you press in the soil gently around the roots to prevent from heaving until they are established. If you plant in rows – set the plants about 10 to 12″ apart in the rows. You can plant either in single rows about 12” wide – or double rows that are 24” wide. Either way – allow for at least 24” between rows to walk and pick easily. If you plant as a grouping in a large bed – make sure to space the plants about 8 to 10” from each other to allow for fill in. In late fall – it is best to mow off your plants to an inch or two above ground level – and then apply a few inches of mulch to help them through the frigid winter months. We like to first put on an inch of finished compost and then cover with straw or shredded leaves for the mulch. 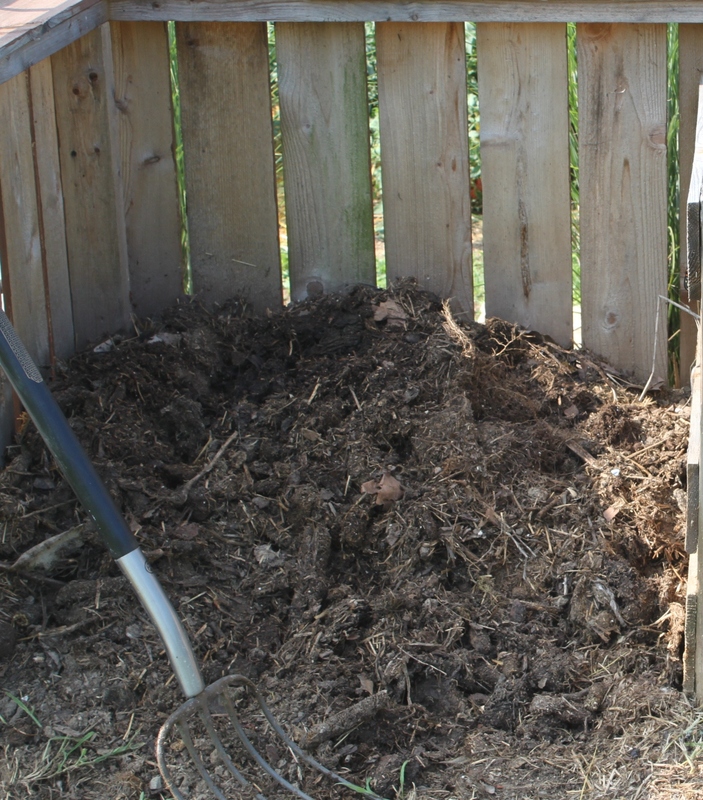 The compost breaks down and adds nutrients to the soil – feeding it for next year’s crop. Because strawberries prefer the soil to be more on the acidic side – this is one time where pine needles make an excellent mulch. Although a perennial, as plants age in years – they will begin to decline in production. 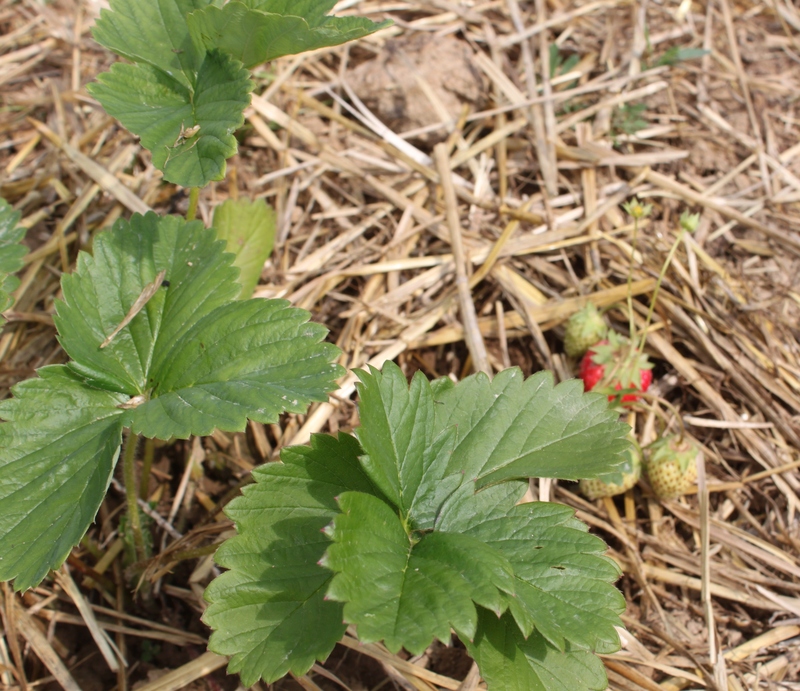 After 4 or 5 years, it is best to start replacing old plantings with new growth offshoots – helping to keep the strawberry beds at their productive peak. 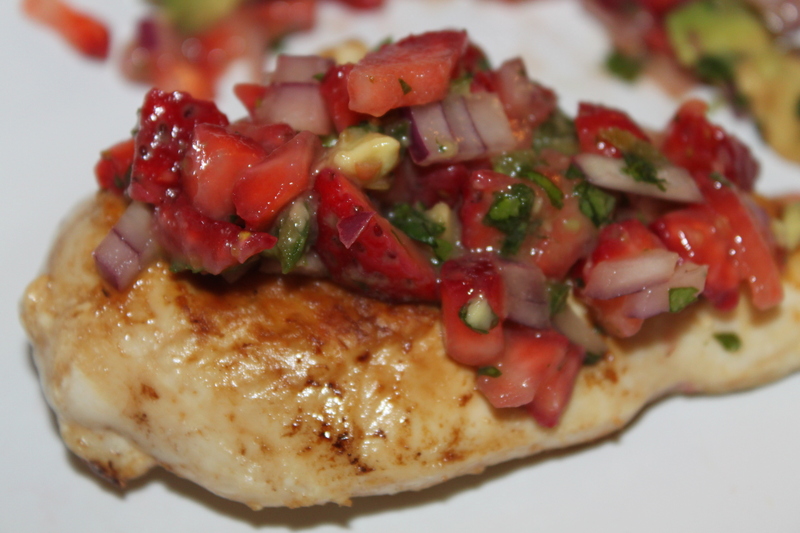 Fresh strawberry salsa is perfect over grilled chicken! Alpine – Although tiny – these everbearing strawberries are full of flavor. Perfect for container planting to enjoy a few fresh berries all summer long. One thing to remember when planting in containers – although the everbearing varieties are perennials – they have a better chance of freezing out due to the lack of protection in containers – and the soil they are planted in will also lose vitality over time. So keep in mind you may need to replant every few years. Happy Gardening! Jim and Mary. This post may contain affiliate links. ← An Old Fashioned Barn Raising At The Farm. Well….Cabin Raising.